How an unknown German and an Englishman on opposite sides of WWI created a scientific revolution In 1916, Arthur Eddington, a war-weary British astronomer, opened a letter written by an obscure German professor named Einstein. The neatly printed equations on the scrap of paper outlined his world-changing theory of general relativity. Until then, Einstein's masterpiece of time and space had been trapped behind the physical and ideological lines of battle, unknown. Many Britons were rejecting anything German, but Eddington realized the importance of the letter: perhaps Einstein's esoteric theory could not only change the foundations of science but also lead to international co-operation in a time of brutal war. Few recognize how the Great War, the industrialized slaughter that bled Europe from 1914 to 1918, shaped Einstein's life and work. While Einstein never held a rifle, he formulated general relativity blockaded in Berlin, literally starving. His name is now synonymous with 'genius', but it was not an easy road. This was, after all, the first complete revision of our conception of the universe since Isaac Newton. Its victory was far from sure. Einstein spent a decade creating relativity and his ascent to global celebrity, which saw him on front pages around the world, also owed much to against-the-odds international collaboration, including Eddington's crucial, globe-spanning expedition of 1919 - which was still two years before they finally met - to catch a fleeting solar eclipse for a rare opportunity to confirm Einstein's bold prediction that light has weight. We usually think of scientific discovery as a flash of individual inspiration, but here we see it is the result of hard work, gambles and wrong turns. 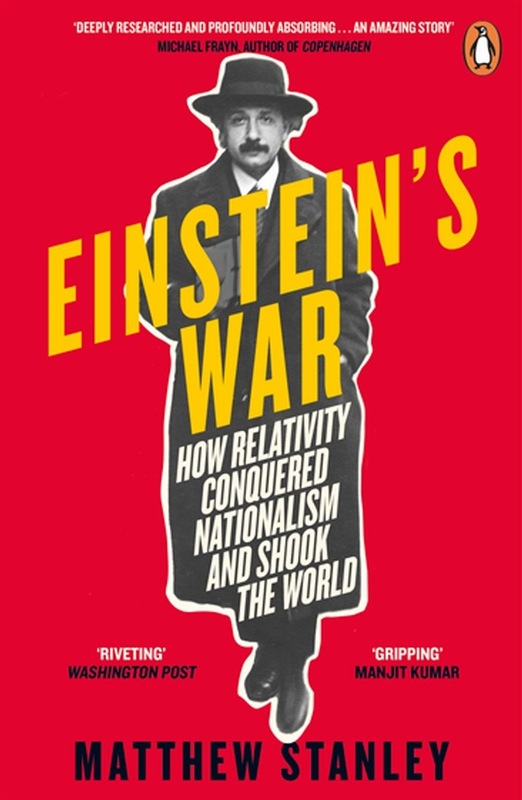 Einstein's War is a celebration of how bigotry and nationalism can be defeated and of what science can offer when they are. Using previously unknown sources and written like a thriller, it sheds light on science through history: we see relativity built brick-by-brick in front of us, as it happened 100 years ago. 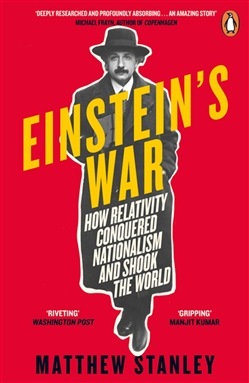 Acquista Einstein's War in Epub: dopo aver letto l’ebook Einstein's War di Matthew Stanley ti invitiamo a lasciarci una Recensione qui sotto: sarà utile agli utenti che non abbiano ancora letto questo libro e che vogliano avere delle opinioni altrui. L’opinione su di un libro è molto soggettiva e per questo leggere eventuali recensioni negative non ci dovrà frenare dall’acquisto, anzi dovrà spingerci ad acquistare il libro in fretta per poter dire la nostra ed eventualmente smentire quanto commentato da altri, contribuendo ad arricchire più possibile i commenti e dare sempre più spunti di confronto al pubblico online.